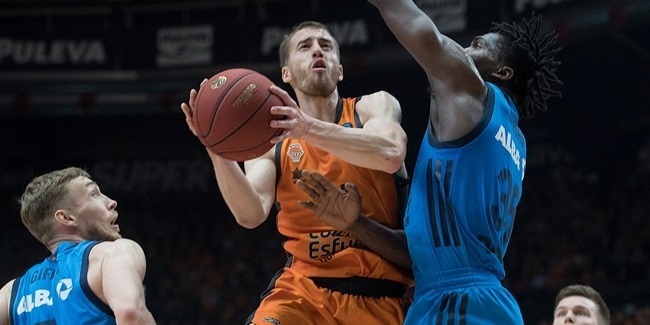 Valencia Basket made it nine wins in a row with a come-from-behind road victory over its fellow Spanish rival Unicaja Malaga. The hosts opened the game with a 13-1 run and then built another double-digit lead, 45-35, at halftime, but Valencia battled back to remain undefeated in the Top 16 and clinch first place in Group G while sending Unicaja to its first home loss of the season. Valencia did so by turning to its defense and managing to control the rebounds throughout the night. "[We gained] confidence to compete for the win through the only way we could compete tonight: through our defense," Valencia head coach Jaume Ponsarnau stressed at the press conference after the game. "Without any doubt, our biggest success was allowing just 24 points in the second half, which allowed us to have a chance to win on a day in which it was hard for us on offense." Valencia allowed just 24 points in the last two quarters and none in the final 3 minutes and 12 seconds of the game. Unicaja led 69-66, but was held scoreless the rest of the way. 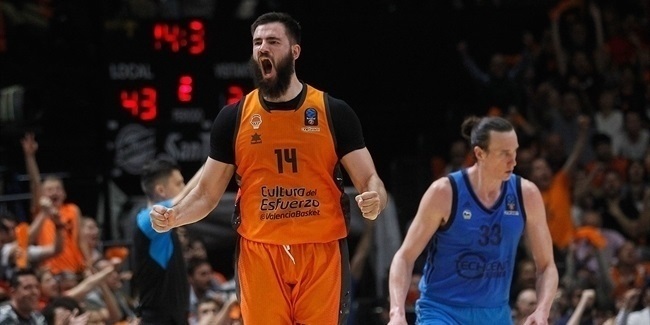 Meanwhile, Valencia looked for Bojan Dubljevic on three consecutive possessions and the big man put the visitors in front 69-70 before Guillem Vives came up with a blocked shot on one end and made free throws with 2.3 seconds left on the other. One stat that really sticks out was Valencia's control of the defensive glass, which was one of the keys to this first-place clinching victory. Unicaja had an offensive rebound on its very first trip down the floor in the game, a put-back by Mathias Lessort, but then grabbed just 2 more the rest of the night. And had zero second-chance points from them. Those 3 offensive rebounds marked the fewest for Unicaja in competition history and the fewest in any game, EuroCup or EuroLeague in 12 years. 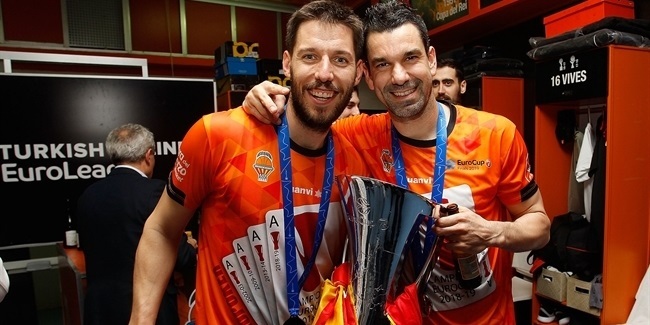 It is one reason why Unicaja will finish Group G in second place and has a date with ALBA Berlin in the quarterfinals, while Valencia secured home-court advantage in the quarterfinals and will be playing next week to try to secure it throughout the EuroCup Playoffs, too.